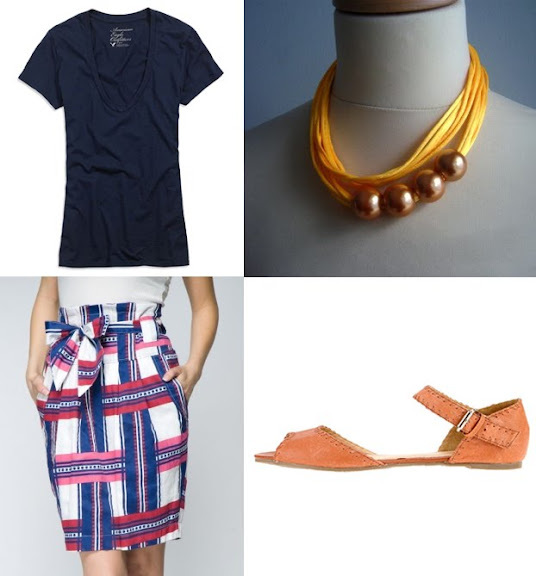 In my second post about Anthropologie's outfit series "New Glory: a modern nod to the red whites, and blues", I am tackling another patriotic ensemble. 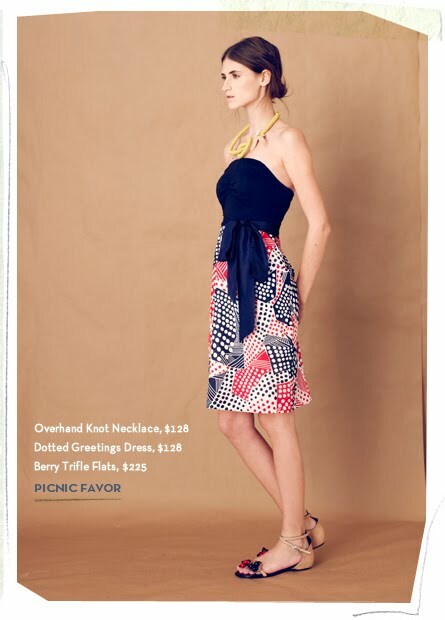 Picnic Favor looks to be especially comfortable for summery weather. What do you guys think of the anthro look? The picks for less? Fantastic finds... that skirt is spot on - and the price?!? Wowza, I'm heading over to Tulle right this moment, awesome! I love your blog! It's one of my very favorite blogs to check every day. Oh, well done!!! I love that skirt -- it's way cuter (to me) than the Anthro skirt!! Ooooh - I think I like the skirt you picked out more than the Anthro dress! Very cute. That tulle skirt is just fabulous! I love your version even more- it's far more versatile than a strapless dress. Nicely done! I saw an almost identical necklace in Old Navy for $10.